Mesones Hostal v Granada, Španělsko: Zarezervujte nyní! In addition to its excellent location, the Mesones Property in Granada is noted for its good and well equipped rooms, all with a nice balcony overlooking the street where you can enjoy the beautiful views. 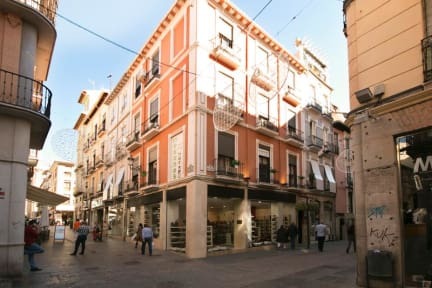 At Easter from the balconies of Hostal Mesones you can see the famous processions, a sign of the identity of Granada. At Mesones Guesthouse we also offer our customers free internet access via WIFI. In addition, Mesones Guesthouse is located just 30 meters from the Parking de la Paz. Method of Payment upon the arrival: Credit Cards, Debit Cards and Cash.